The award will be presented Dec. 8 following a Mass at 7 p.m. in Dahlgren Chapel at Georgetown University in Washington, D.C. Father Wallace will be the homilist. Father Wallace professed first vows as a Redemptorist in 1964, and was ordained to the priesthood in 1970. 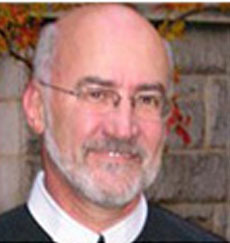 He has been a professor of homiletics at the Washington Theological Union since 1986. From 1973-85, he taught at the Redemptorist seminary at Mount St. Alphonsus in Esopus, NY. He is the past president of the Academy of Homiletics, the Catholic Association of Teachers of Homiletics, and the Religious Speech Association. He has served as co-editor of the New Theology Review and as a member of the Editorial Council of the Liturgical Press. He is an author, teacher, and popular presenter. He also is a regular preacher of daily audio homilies featured on redemptorists.net. Previous recipients of the Center’s award for Outstanding Contributions to the Liturgical Life of the American Church include: Fr. Walter Burghardt, S.J. (preaching); Bishop Donald Trautman (liturgical leadership); Roseanne Casey (extraordinary Catholic leader); Marty Haugen (liturgical music); Rev. Richard Vosko (art and architecture); Sister Catherine Dooley,O.P. (catechetics); Rev. Paul Cioffi, S.J. (liturgical teaching); Rev.Gil Ostdiek, O.F.M. (liturgical scholarship); and Dr. Elaine Rendler-McQueeney (liturgical music).